Jack Dorsey’s India visit ended on a real Twitter moment. 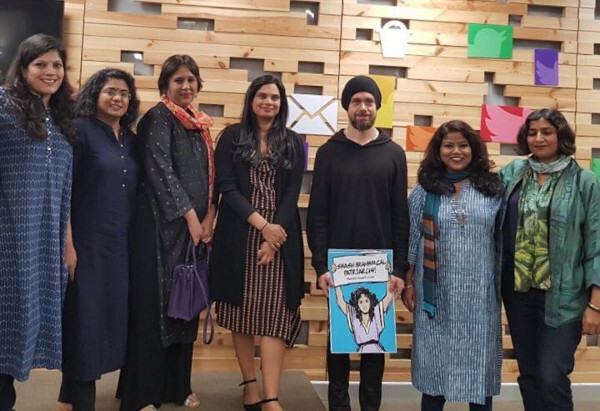 As the photograph of the company’s co-founder and chief executive – who was standing with writers, journalists and activists in New Delhi holding a placard given to him that read “Smash Brahminical Patriarchy” – made rounds on the internet, Twitter’s limitations were on full display. The man with the sign did not seem to understand its powerful message, and the people responding angrily to it seemed to understand it even less, predictably and indignantly conflating Brahminism with Brahmins. Added to the muddle was the apology from a Twitter official, who regretted that a private moment had been made public, distancing itself from the placard’s message. But if the platform’s weaknesses were evident, so were its possibilities. The resulting hashtag, #SmashBrahminicalPatriarchy, was rather revelatory about the Indian upper caste and the politics of caste in the country. In a matter of hours, it had put on full display the rampaging rage of the Indian upper caste who emerged – from what they often claim to be a casteless India – to declare and defend their elevated origins and lay claim to a wide variety of benefits they had conferred on other lesser Indians. Declaring they would boycott Twitter, they then went on the offensive – where else but on Twitter. Not to be outdone by the camp of the overtly right, Congress party spokesperson Manish Tewari likened Brahmins to the “new Jews of India”, managing to display ignorance of the history of both Europe and the Subcontinent in just one tweet. Amid this noise and fury, Chhetria Patrakar was wondering whether to take heart from the fact that the ‘patriarchy’ part of the message had not caused much of a stir; but perhaps not yet. For the record, CP agrees with the entirety of the sentiment denouncing Brahminical patriarchy, and holds the controversial sign up high, unlike poor Jack.